Fleas. What a pain! When you have a dog that spends the majority of its time outdoors, you are bound to end up with fleas occasionally. Flea collars and flea treatments go a long way toward keeping fleas where they belong—in nature—but even those options are not foolproof. One of the best options for getting rid of fleas who’ve invaded your home is Diatomaceous Earth Powder or DE powder. It works by sucking the lipids (fatty acids) out of the waxy outer skeleton (exoskeleton) of the fleas. This exoskeleton helps the bugs keep their moisture inside the body. When the exoskeleton is ruined by DE, they literally die through dehydration. Diatomaceous earth for fleas is great a pest control option that will not harm humans or pets. You can literally eat it if you have an upset stomach! Other flea treatments can be toxic. Some flea treatment types even require you to treat an area and then leave your home for a certain period of time. This is due to levels of toxicity in the air. But DE powder is safe. 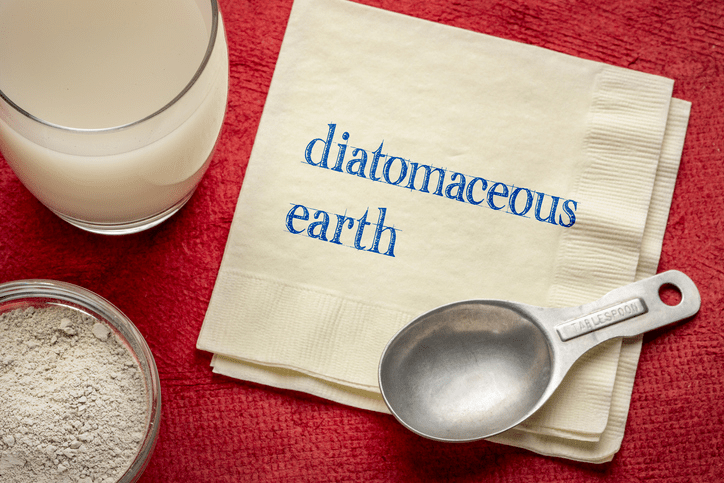 You can apply diatomaceous earth to many things including to detoxify the human body, to purify water, fight parasites, kill insects (including fleas and flea eggs), improve joint and bone health in humans, and clean and protect skin, nails, and teeth in humans. Above all, it makes a great flea powder and kills other pests too. If something that kills fleas can be eaten by anyone or any pet, why would you choose any other flea killer? Put simply, diatomaceous earth for pets and their pet owners is absolutely the best choice for getting rid of these pesky home invaders and their eggs. 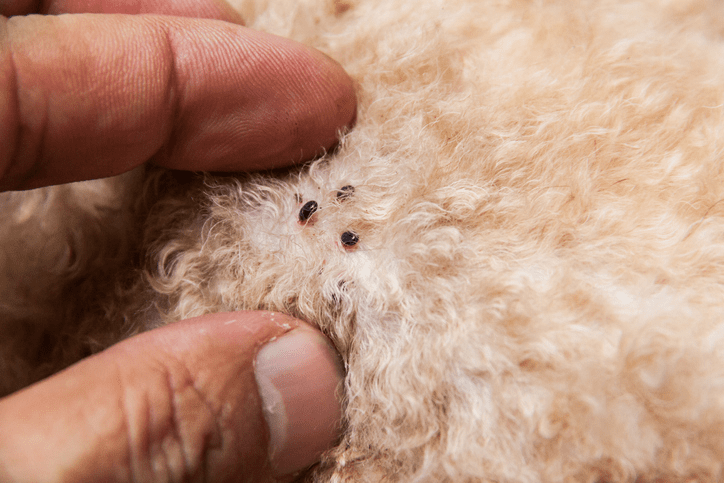 You’ll hardly ever experience flea bites again. Sold by DiatomaceousEarth.com, this powder can be used to kill fleas and other pests, improve your dog’s health, and even eliminate pet smells. It is 99.9% pure silica, chemical-free, and organic. It will never expire if stored properly. You can purchase DE Food Grade Powder for about $20 (10-lb bag). This made in the USA DE food grade powder is 100% ground freshwater diatomaceous earth. There are never any additives or fillers. Harris DE is listed with the Organic Minerals Research Institute (OMRI), an organization that reviews and approves products claiming to be organic. A 5-lb bag of Harris DE is about $17. Safer brand DE powder is an all-around bug destructor. It is good for fleas, bed bugs, millipedes, earwigs, cockroaches, and more. It is safe to use around people and pets to get rid of fleas. Safer’s 4-lb bag costs around $10. The DEsect brand is an organic, high-quality DE powder good for killing fleas and ants. This product is OMRI certified and costs approximately $20 for 2 lbs. Coshom DE powder is made in the USA from one of the purest DE deposits in the country. It is an all-natural, inexpensive, and organic way to rid yourself of pesky fleas without risking the health of your family. Coshom’s 6-lb. bag runs for around $20. This product is an organic DE powder primarily marketed as a health product for people. However, it is still viable as a flea killer. You can purchase your 3-lb. bag and duster for about $25. A company that’s been around since 1926, Bonide gives you a 100% DE formula for killing fleas and nearly every other insect that may be troubling you. A 5-lb. bag of Bonide’s 121 costs about $15. This wholly organic food grade powder is pure and mineral rich. It can kill fleas in 24 to 48 hours and is safe for use indoors and outdoors. It comes in a resealable 2-lb. bag for about $15. Root Naturally’s DE is high-quality, food grade powder. It is sourced from deposits in the USA and is certified OMRI organic. You can purchase this product in 5-lb. bags for about $15. Made of 100% DE silica, Perma Guard’s DE powder can safely kill the fleas in your home. The 2-lb. bag offered costs about $20. While this product is marketed as a supplement, it is still a 100% natural way to kill fleas. It is food grade, organic, and runs about $10 for a cool 2-lb. zipper closed bag.